If you are one of the millions of the baby boomer generation who have made the transition from being a child to being a primary caregiver for an aging parent, there are some things that you will need to know. 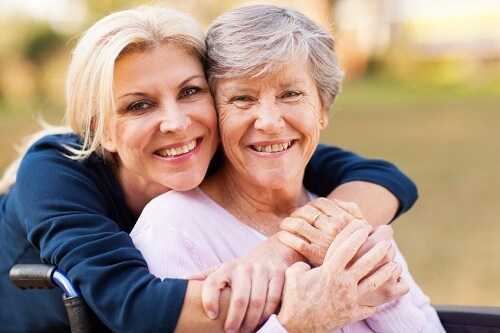 Understanding how to properly handle your caregiving responsibilities can make the entire process far less stressful. You want to be the best possible caregiver you can be and you are looking for some guidance. Most of us have grown up believing that our parents are always going to be there for us. It is very disconcerting when we realize that they now need care. After a lifetime of depending on our parents, we find that they now need us to help them. Make sure you continue to treat your aging parents with dignity and respect. As difficult as it may be for you to have an aging parent living in your home suddenly, it is important that you remember that their dignity is also at risk. An inherent risk associated with being a caregiver is to begin treating your aging parent as if they were a child. Help keep their dignity intact by treating them as an adult. When you first are faced with the task of physically caring for your adult parent, you will have to determine very early on what care they are able to provide for themselves. If they are capable of performing basic personal care you should encourage this, but you should also remain close by in case they need your assistance. Do not try to force your help on them. Unless you find they are in a dangerous situation, letting your aging parent take care of their basic personal needs will help them maintain their dignity. Be prepared for and watch for changes in behavior, especially frustration. If you discover that your aging parent is becoming frustrated performing the simplest of tasks, then it is best that you step in and offer your assistance. One of the greatest hazards associated with being the primary caregiver of a parent is failing to take care of yourself. You may feel overwhelmed with the responsibilities that you have taken on. Make sure that you take time to eat properly, sleep well and interact with people outside of your home. Failing to do so can create feelings of anger, depression and resentment. If you work outside the home you may find that you are under more pressure than ever. Make sure you discuss your new circumstances with your supervisors. You may need to take extra time off work, make changes in your schedule or lighten your workload while you are a caregiver. Only you can make these decisions. Contacting your local Council on Aging, meeting with other people who are caregivers or reaching out to friends and family can provide you with additional help and resources. Make sure you take advantage of offers of assistance so that you can properly care for yourself. Take care of yourself – if you stay healthy the task will be much easier. Ask for Support – whether you contact your local Council on Aging or friends and family, have a backup. Information – ask for information from your doctor or agencies who work with caregivers. Remember, the more information you have the better you can help your aging parent. Be Aware – make sure you hazard proof your home. Ensure that your hot water is set to the proper temperature, remove anything hazardous that you believe could cause accidental injury to your aging parent. Be Flexible – your schedule is likely to change when you are caring for an aging parent. You now have responsibility to make sure your parent arrives at medical visits on time and other necessities are provided for. The more flexible you are the easier this will be to deal with. At some point many of us are going to take on the additional responsibility of caring for an aging parent. While this new responsibility can be overwhelming, taking the time to make sure that you take care of yourself is important. Not only should you be caring for your aging parent, but you need to continue caring for yourself.